Pupils at the King’s School, Worcester took part in an interactive display in the Library, led by Librarian Annabel Jeffery. 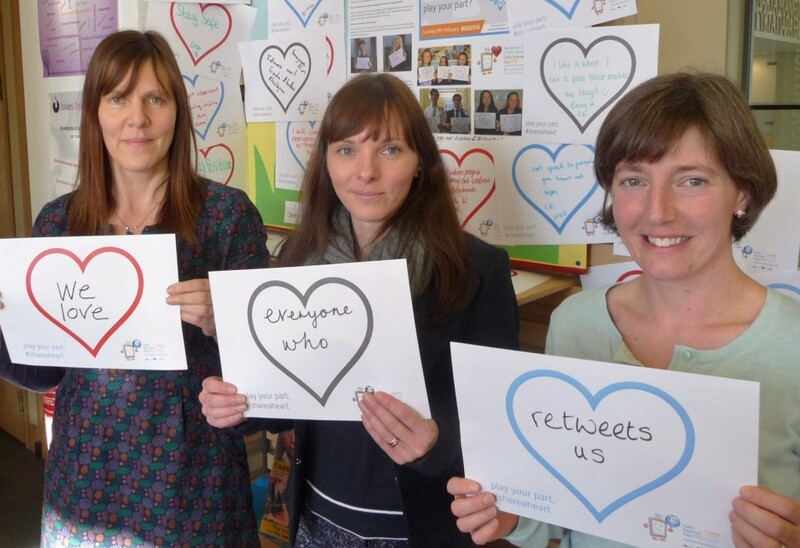 The UK Safer Internet Centre wanted to promote respect and kindness online with a campaign to encourage young people to share positive messages in specially designed heart signs which were printed off and made available to pupils. Gold DofE volunteers kicked the whole thing off by volunteering to be poster boys which inspired other pupils from all years to take part. Pupils wrote some lovely messages such as “I only tweet positive messages” and “I will only be kind and considerate on social media”. These were added to a display in the library throughout the day. 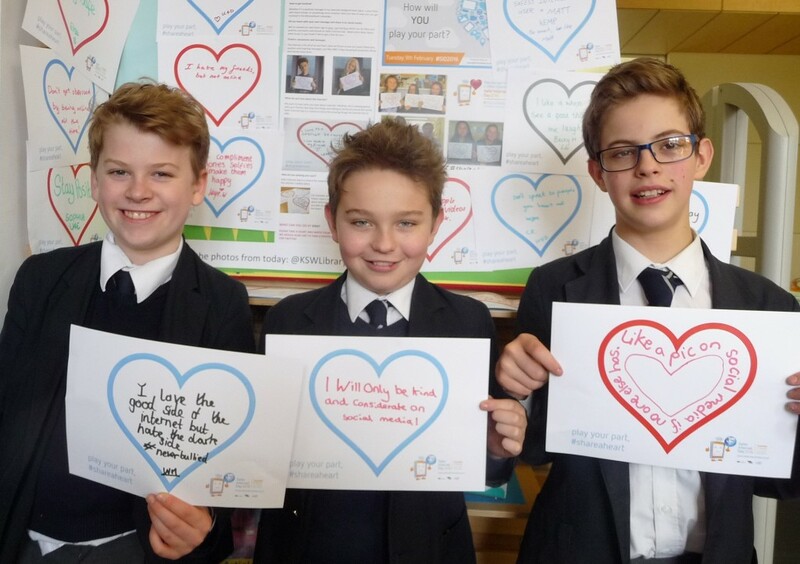 The main focus however was sharing these messages with the online community by uploading photos of the pupils with their messages on the Library Twitter feed (@KSWLibrary) which is where the unfolding picture of the day can best be appreciated. Another display in the library highlighted online safety issues such as trolling, grooming, cyberbullying, and staying safe on social media. Pupils had great fun and hopefully gained a better awareness of how positive behaviour online can make the internet a better (and safer) place.